A comprehensive range of high grade quality Stainless Steel Boss is being offered to all our clients at affordable price. Range:15 NB UP TO 100 NB IN 2000 LBS, 3000 LBS, 6000 LBS & 9000 LBS, 150 LBS, 250 LBS. 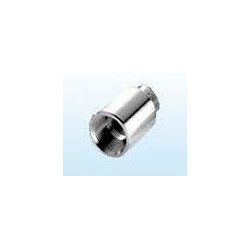 Reliable Pipes and Tubes manufacture, exports forged socket weld boss. forged threaded bosses to MSS , SAE & BS standard from Classes 2000 lbs to 9000 lbs. Reliable Pipes and Tubes manufacture, exports bosses ( pipe fitting ) of special type made according to drawing on request. Material Standard: ASME/ANSI : B16.47, B16.48, B16.5, B16.36, B16.9, B16.28, MSS SP 43, MSS SP 95. We also offer a wide range of Boss. 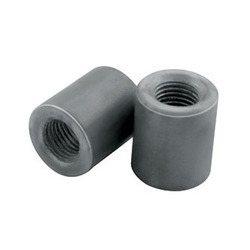 Manufactured using quality raw material like steel and iron, these are highly resistive to corrosion and abrasion. Our excellent range is appreciated by the clients in automobile, engineering, agriculture and heavy engineering industries.